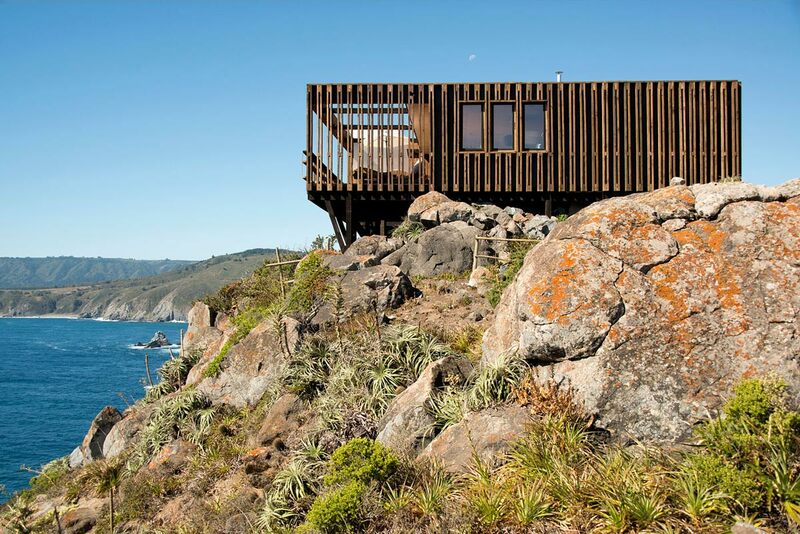 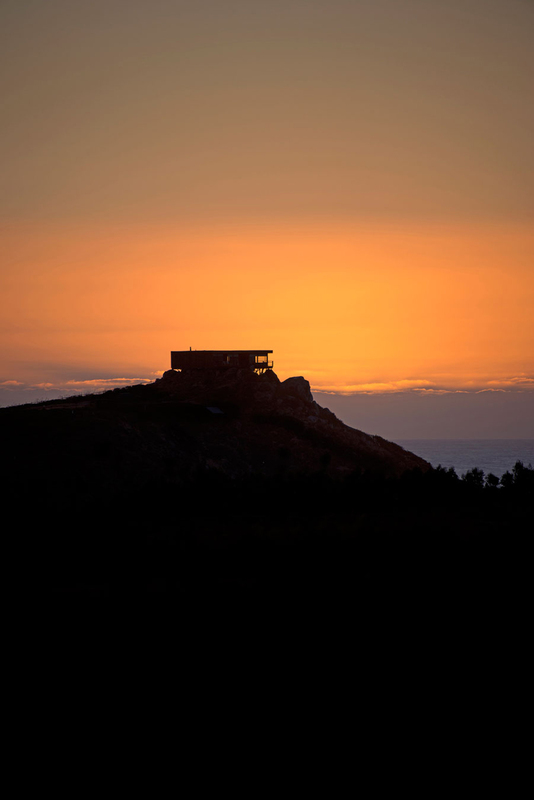 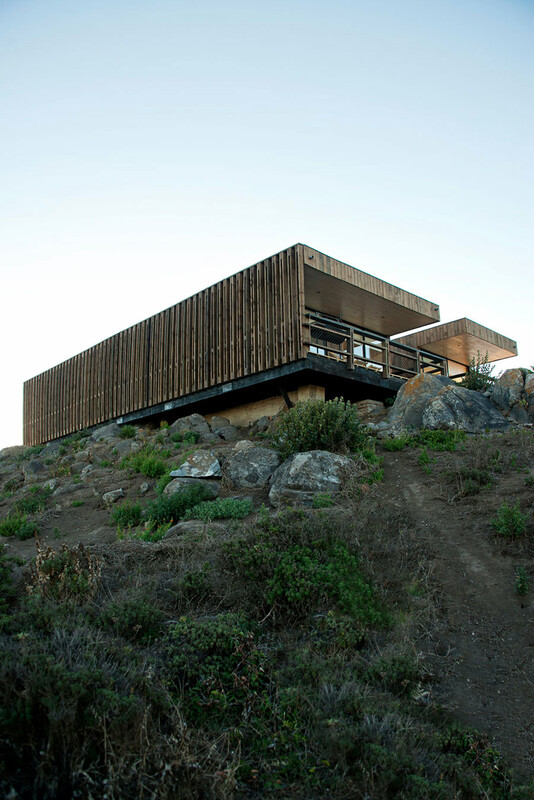 Mirador House Punta De Gallo was completed in 2012 by the Santiago based studio Rodrigo Santa María. 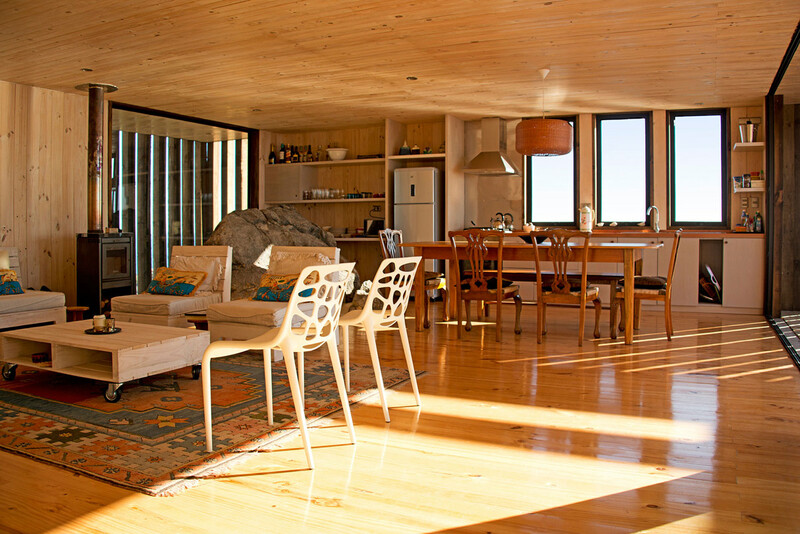 This 1,938 square foot modern home is situated on a rocky summit, seventy meters above sea level. 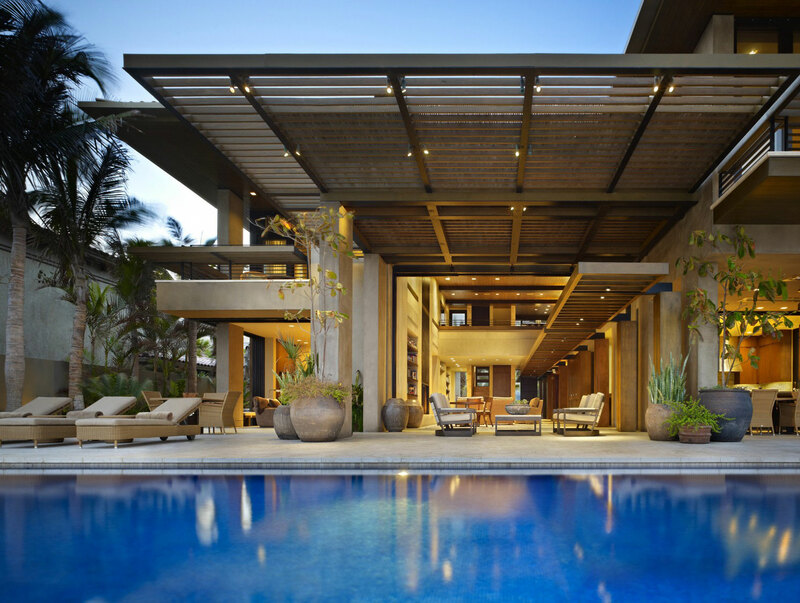 The terrace faces out to the ocean, with stunning panoramic views. 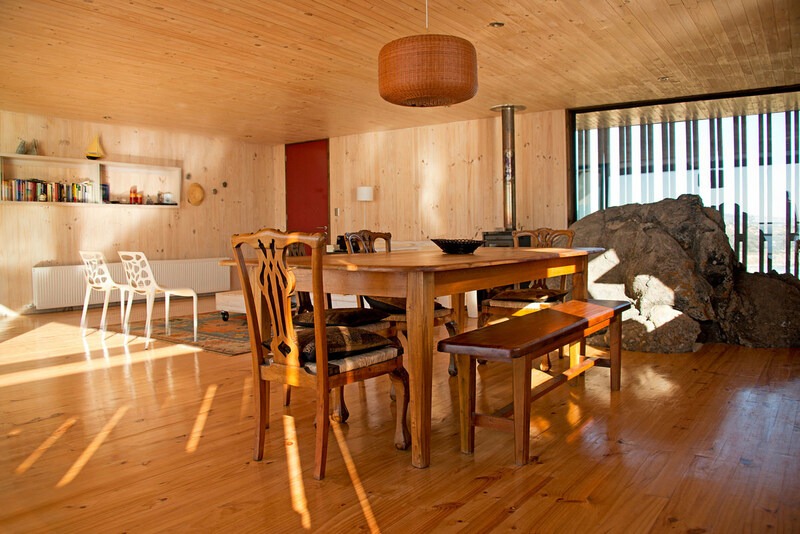 The house is located in Tunquén, Chile. 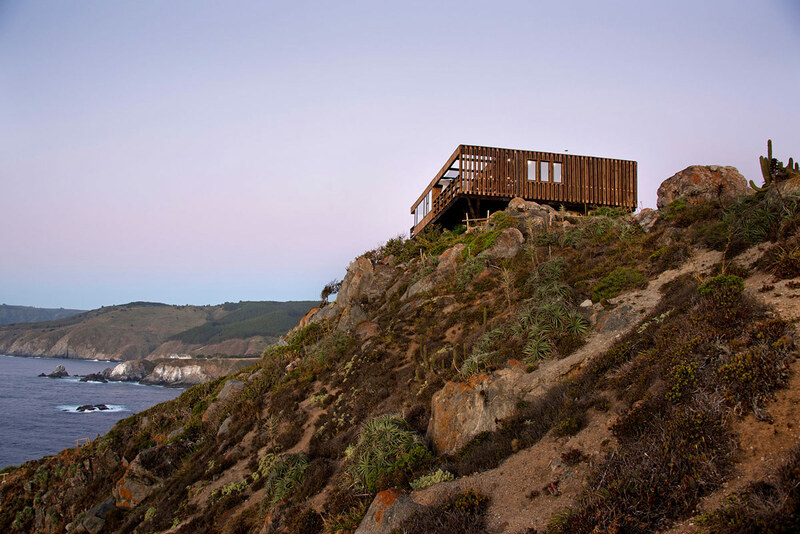 “La Casa Mirador Punta de Gallo, is situated on a rocky summit with a panoramic view of the area 70 meters above the sea level. 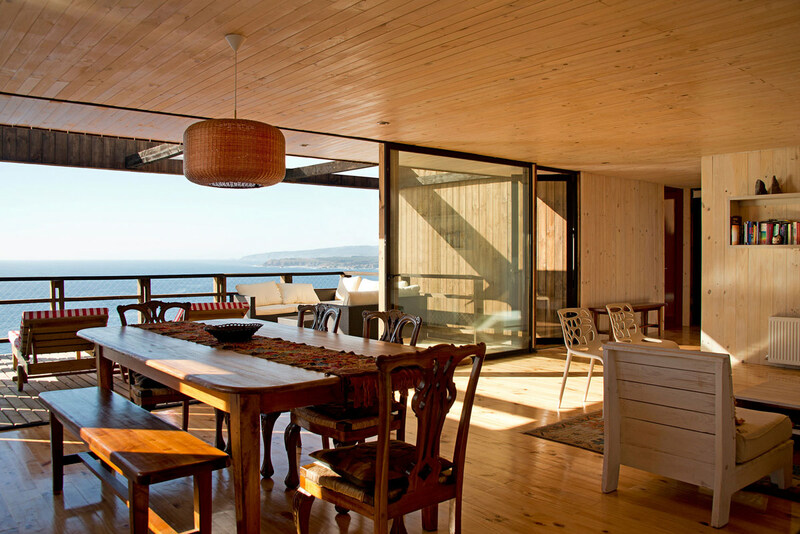 From here you have a 360 degree view: to the north Quintay Bay, to the south Tunquén, to the west the beach town of Algarrobo and to the eat pine forests. 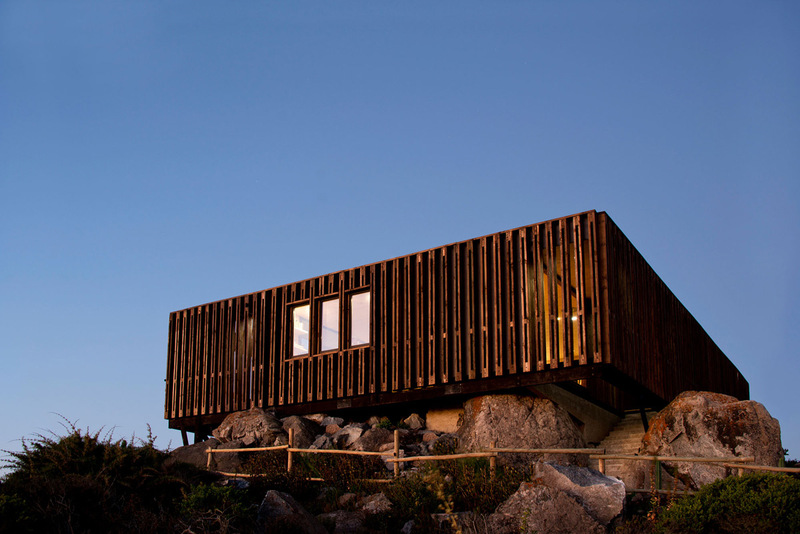 As a first step, we consolidated our noble housing plan with a wooden platform structured on the rocks. 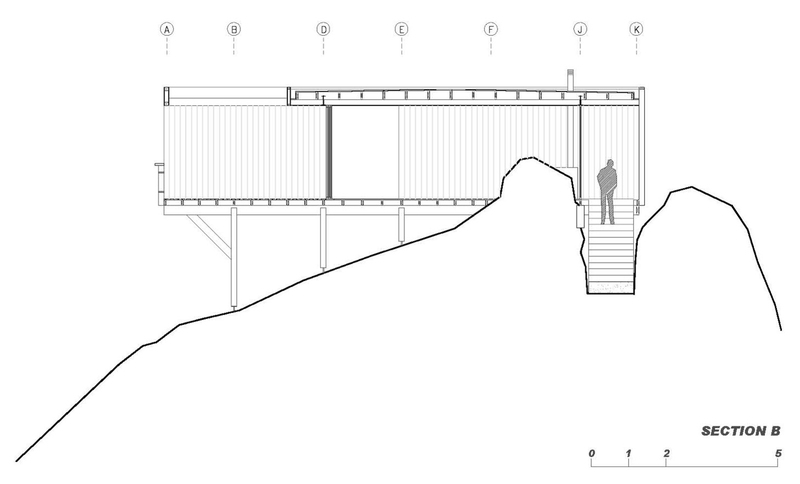 We kept the average level of natural elevation of the viewpoint and allowed it to only exceed the summit, which was integrated into the interior of the house. 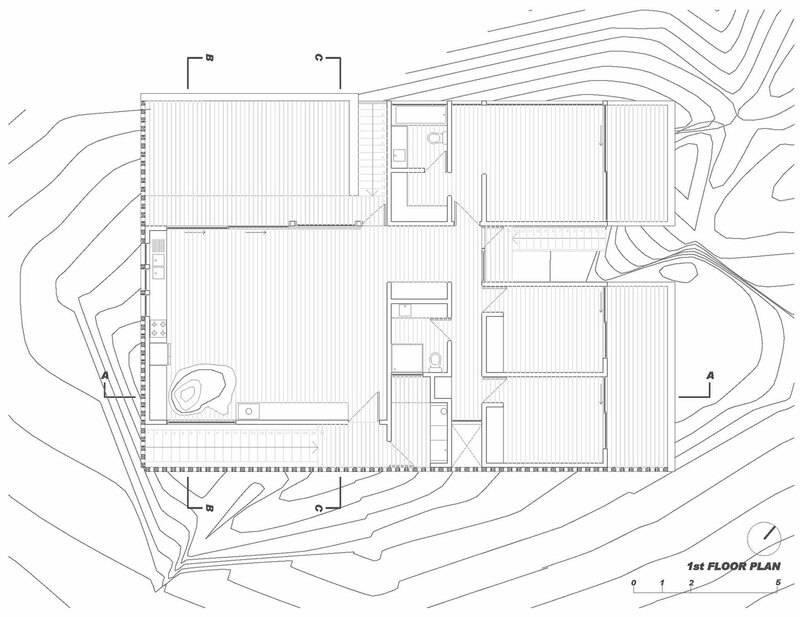 Then we constructed the access utilizing the thresholds given by the existing topography. 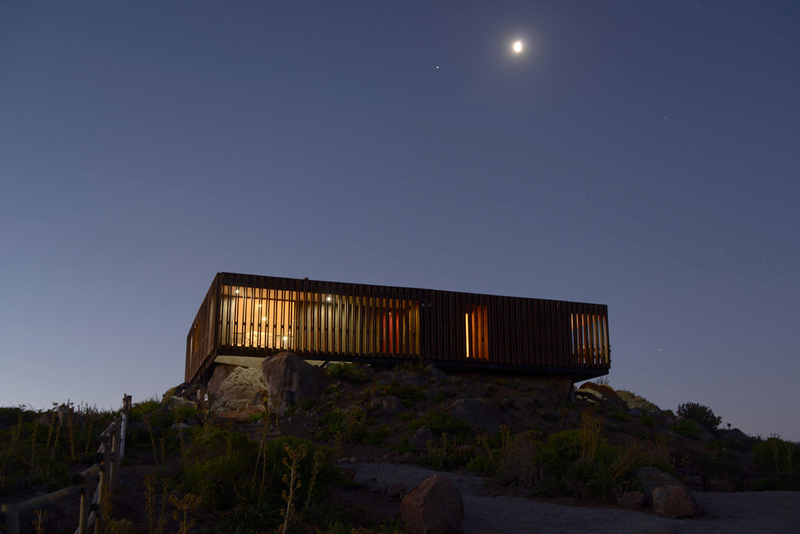 Thus the rocks act as the plinth for which you access the house. 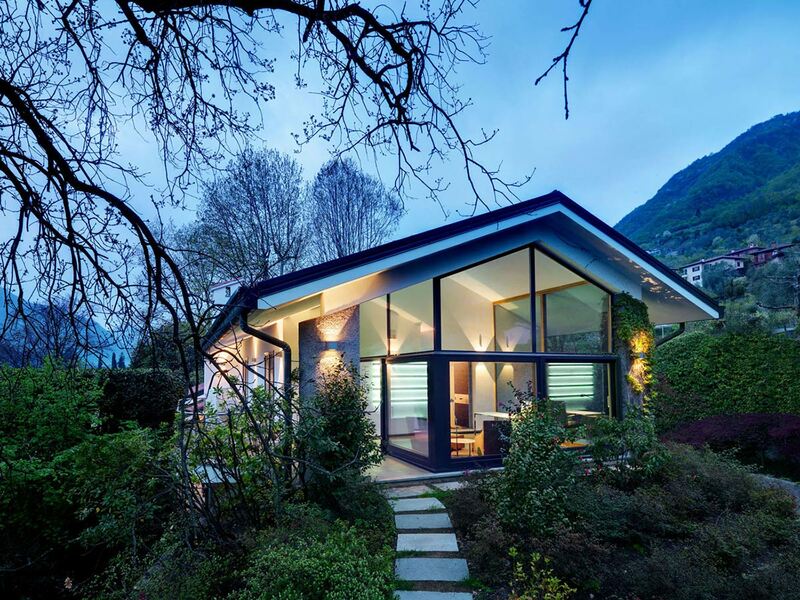 3 thresholds were recognized, which were transformed into a main access and two secondary ones. 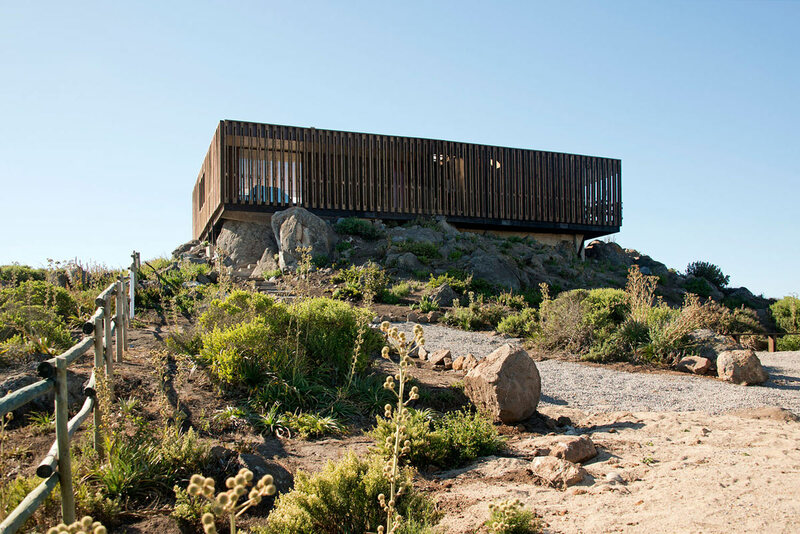 The main access is given by the slope created between two rocks, which are landmarks of this rockery. 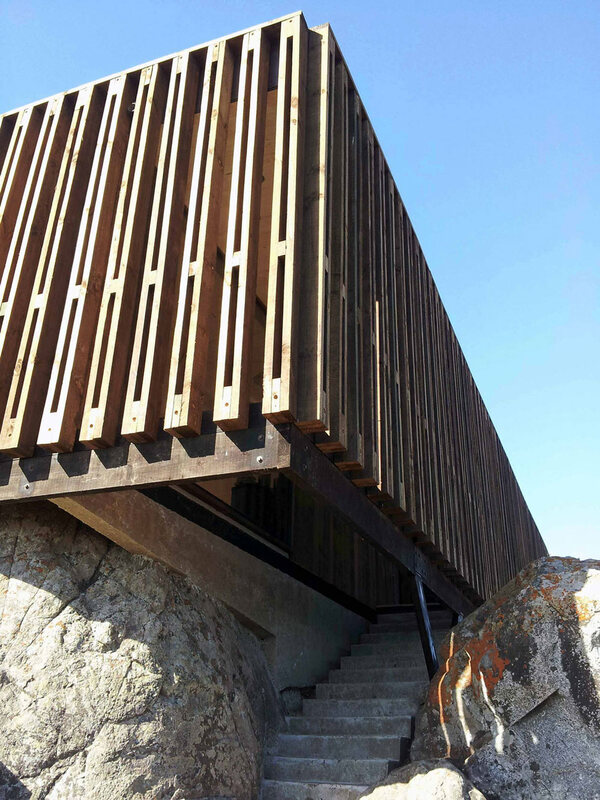 This entrance was constructed with concrete steps that are fused with the rocks. 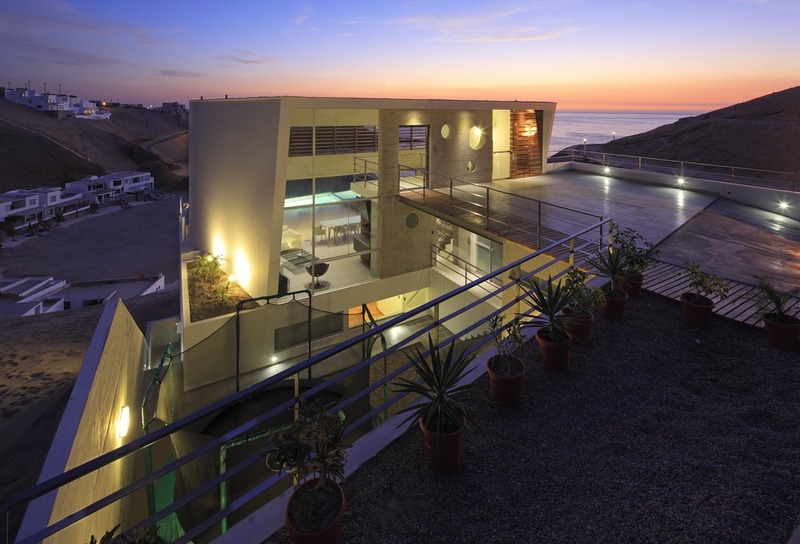 From these three accesses and the general plan, we constructed the main design concept required by the owners: that the unified terrace-living-dining-kitchen unit conquer the ocean view, while permitting to discover the other views as one traverses the house. 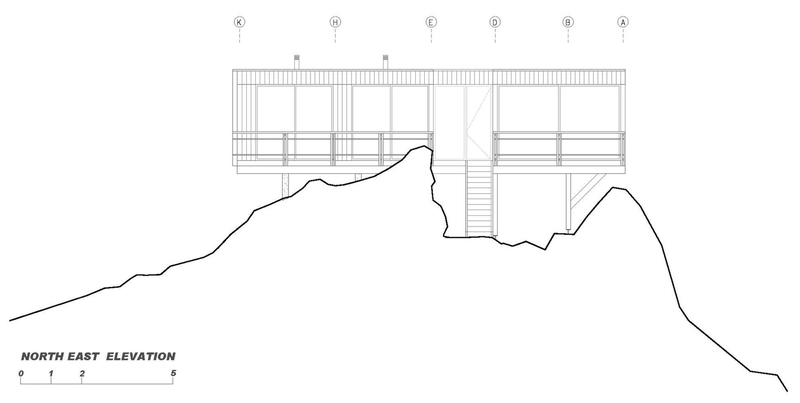 The result is the constant presence of the landscape as a reference point. 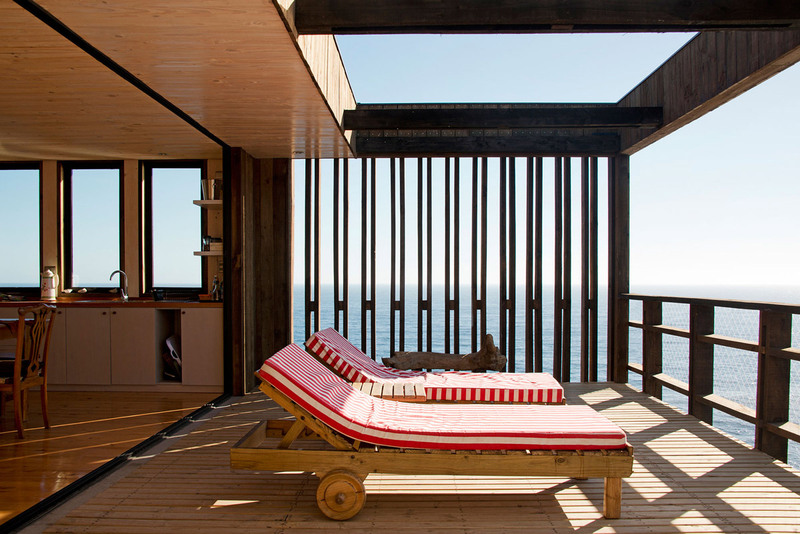 We designed a terrace the stretches out towards the sea and protected from the southern winds that constantly blow in central coast by means of vertical blinds that also protect privacy with a neutral volume effect. 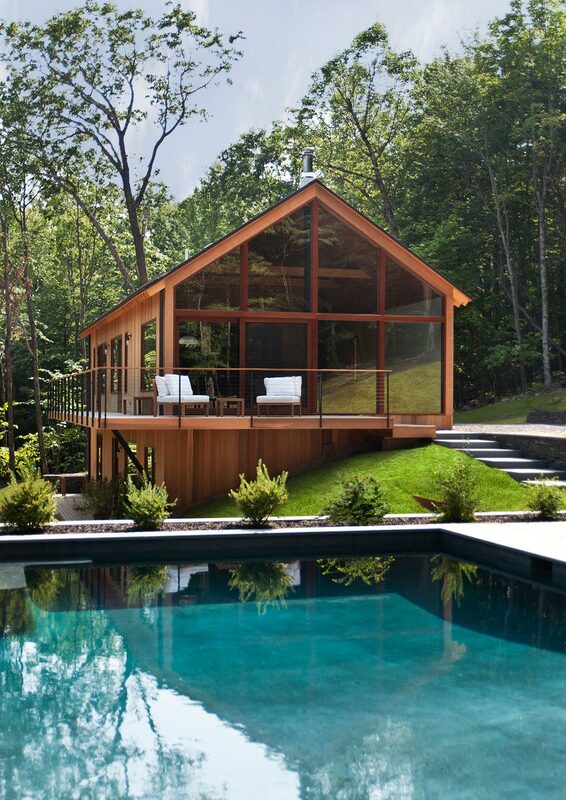 The western and northern facades are transparent for a clear view and with eaves for sun protection.